When Kaskade's Atmosphere album dropped last week, it was only time until the deluge of remixes and mashups began to pour down upon us. Though sifting through them will be a chore unto itself, a few producers have proved their work's quality, basically receiving an automatic stamp of approval on releases. Fareoh must be one such artist, a claim that especially holds true for a Kaskade track, having opened for him on the Freaks Of Nature tour. 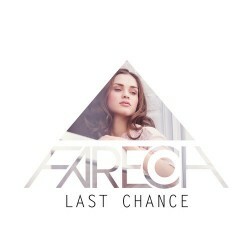 Today the New York native serves up his rendition of "Last Chance", the album's opening progressive house fanfare whose original was a collaboration with Project 46. Following in Kaskade's footsteps, Fareoh keeps the soft piano instrumentals (possibly even over a more minimal background), building the track into a steep climb and driving drop. Give Fareoh a like to download it directly here.